Suzie/CamOpEle was inspired by Holly and her biological cub from the Brown Bear Cam. An accident in taking a snapshot led to an image of the future and this poem by Suzie. 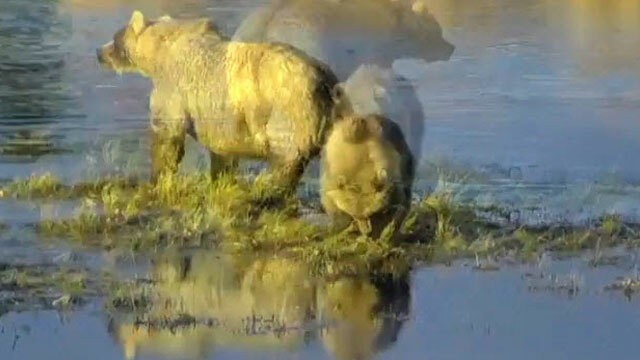 Does the #BearCam inspire you? Tell us about it in the comments below. if you allow me Suzie, i give you a big hug for doing this poem!! TY much my dear friend! 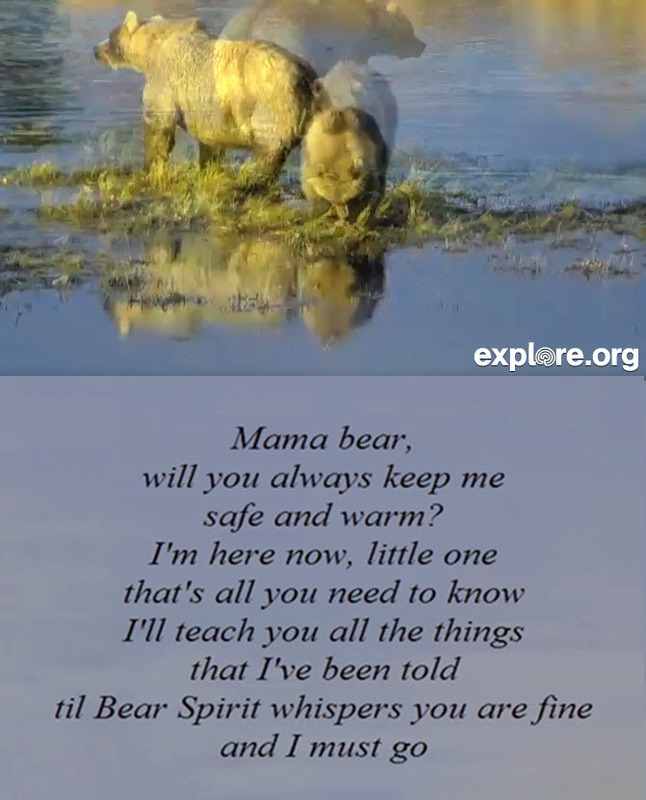 I just wanted to extend my gratitude to Explore.org and the cam operators for bringing Holly and her cub’s story to the world. Some may voice concern about anthropomorphic attributions of human emotions to wildlife, but anything that builds a greater connection between humans and wild bears is to be treasured. Wild bears have needed a reliable source of positive P/R for a long time, particularly in light of the careless behavior of humans that enter the wild ill-equipped to function appropriately in bear country. If bears could speak English, they would express their gratitude personally. Instead, they treat us to the precious images we have been seeing this morning! Thank you for the beautiful picture and poem. Hi Suzie. Not only was your photo incredibly unique, but you expressed your thoughts about it very beautifully. The poem was just perfect! I love the photo as well. I thank Explore.org and everyone associated with it so deeply for all the peace and restfulness you bring to me. I lost my oldest daughter last November, and my husband January this year, both to cancer, and every day now is a new day without them. So today is my first Oct. 8 without them. It’s been and is still so hard but I absolutely love coming here to the peacefulness and the unbelieveable beauty Explore and our wonderful cam ops provide daily. The cam ops are truly artists (and poets too!!). You never know who you are touching and who you are helping so always keep that in mind! And even more importantly helping remind people and encourage to protect this wonderful planet we are so privileged to inhabit. thank you so much!! We are glad that you've found enjoyment and solace from the cams. Thank you for your kind words. I, like so many others, would love to see the bears and Brooks Falls first hand, but that’s pretty much out of the question, but there’s nothing wrong with being all cozy at my pc with a cup of coffee and going along with all the wonderful cam ops for the trips you take us on each day. I absolutely meant it when I wrote that you all are true artists…the scenes you find for us to look at are just amazing. I never knew anything like Katmai and it’s bears existed. And there is humor too in watching those darling cubs..How adorable and heartwarming are Holly and her crew! Thank you for all that you do! I don’t mind a bit!! Getting all excited about polar bear season starting up. Have a great day! Great poem Suzie! It brought tears to my eyes too! ♥ Thank you for sharing it!